Very nice quality, very satisfied! Great value for money. Bag lofts up very well - very warm. I ordered the big bag (220cm) as I am 6ft and have previously found Chinese good to be sized small. This is a big bag - I could probably manage with a regular- but I bought for winter wild camping in UK, so the extra room will be good for keeping gas canister and water bottle at the foot to prevent freezing. Room enough for me to wear a down jacket if REALLY cold! Quality is fine, stuff sack is good. Buy yourself a BIG cotton or mesh bag to store uncompressed. (I have a 80cm x 60cm cotton laundry sack). Only complaint is the lining - same shiny water resistant material as outer. A nice soft lining would make the bag seriously good! Sleeping bag came very quickly, days for 15. Sewed qualitatively, packed well. Took 1000 grams of down. Filled evenly, flushed quickly. 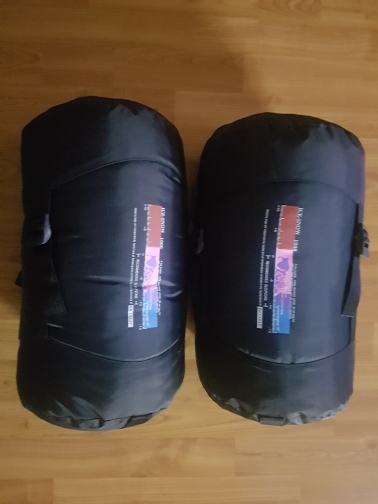 There are no smells, i 187 cm and 120 kg entered the sleeping bag: in length excellent, in width close, of course i would like another 5-10 cm but this i'm picky-i need to lose weight myself! The only negative-did not match the color. Ordered yellow came orange. But for me it's not critical. I am satisfied with the seller and the goods. Sleeping bag has already shown itself from the best side. But here the courier service dpd (office in vladivostok) can not withstand any criticism. More than 10 days the parcel just lay in the warehouse, after the courier told me that at my address he can not bring the parcel, and can only deliver it to one of the service offices in the city. I had to go to the warehouse. 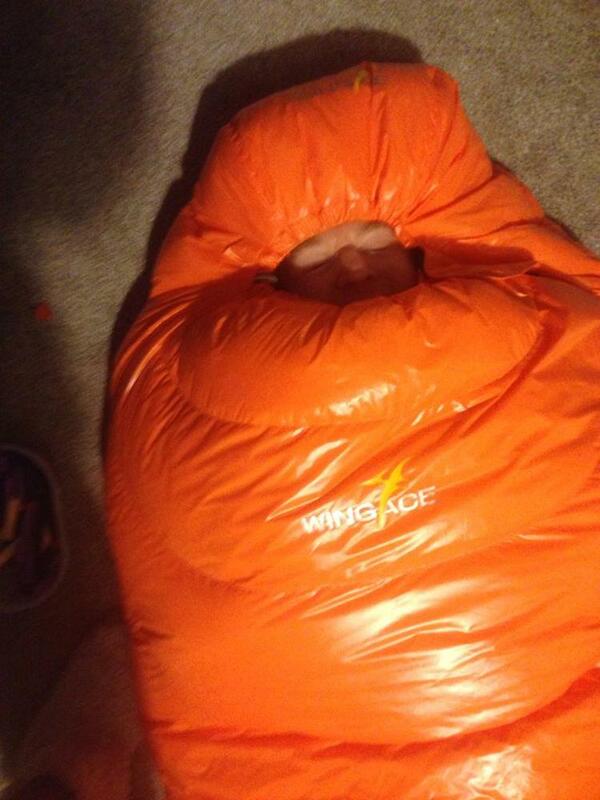 Sleeping bag corresponds to the claimed. Very bright coloring. Quickly loosened after the cover. Very comfortable size. I already have a sleeping bag of the same firm. To sleep in cool weather (a small minus at night) was very cozy, warm. The only drawback of my previous sleeping bag is a little fluff seeps, although i did not understand, on the seam or hole somewhere. However, it is so comfortable to sleep that i bought another same sleeping bag. I did not take pictures, all as in the picture. product is very nice,fast cargo..thank you seller. Too forward and purchased a used think than unsatisfactory nail.